China and India are the two most populous countries of the world. China is the most populous country with approximately 1.42 billion people in 2018. India is second largest country by population with approximately 1.35 billion inhabitants in 2018. China and India together account for 36.28% of total world population 7,632,819,325. In 2018, population of China is 41 million more than India. Due to higher population growth of India, margin between these two country is coming down quickly. And in 2024, India will have more people than China with approximately 1.44 billion people. 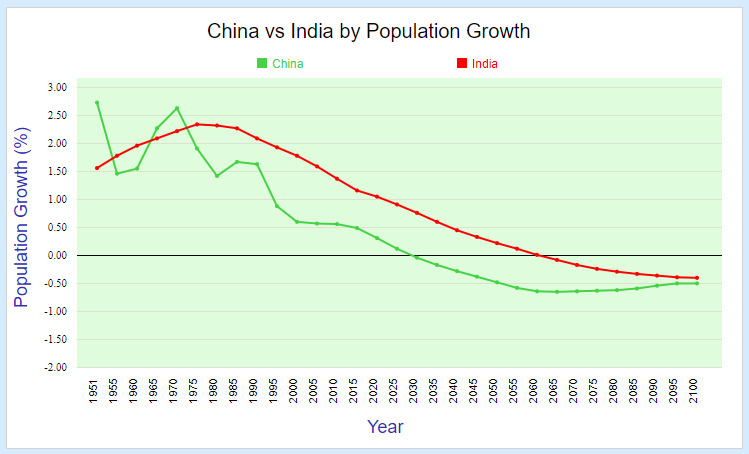 Currently, China's population growth rate is only 0.39%, while India is growing at 1.11%. Population of China and India will decline after 2030 and 2062, respectively. in 1950, population of China was 554 million. While, population of India was 376 million. China crossed one billion mark in 1981 and India in 1998. By 2029, India will cross the 1.5 billion mark. Both countries have lower female population compare to male. 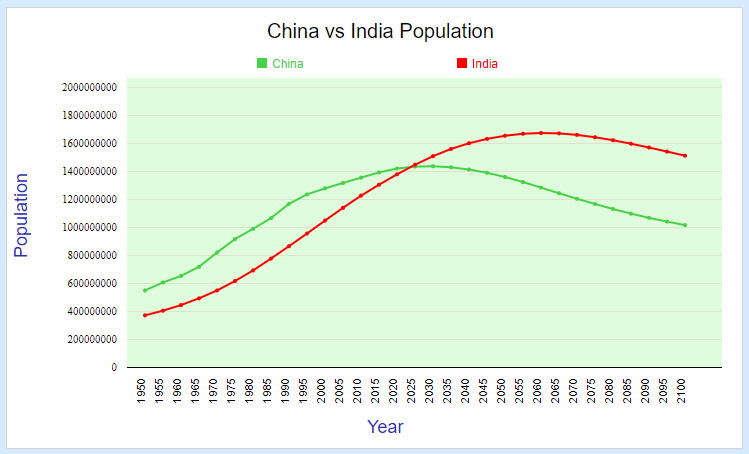 Female population sharing of China is slightly greater than India. China has 94.1 female par 100 males where as India's figure is 92.94. 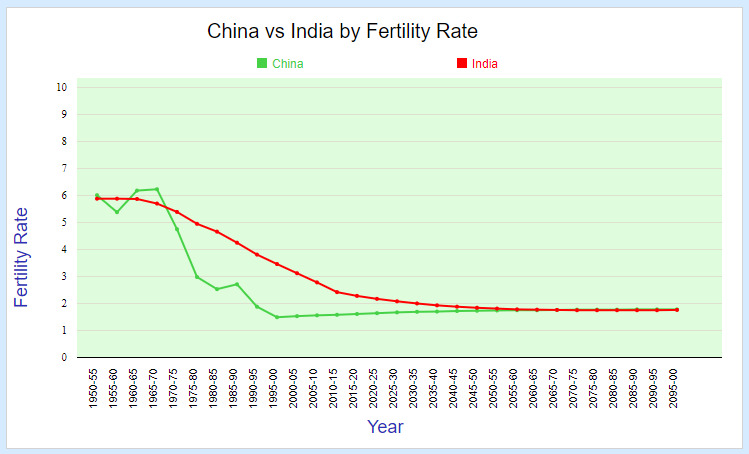 Fertility rate (2015-2020) of India is 2.30 and of China is 1.63. With median agee of 26.7 India is more younger than China of 37.0. Population density of India is 440.29 person per square km compare to 148.81 of China. So, India is 2.96 times more dense than China. China is 4th and India is 7th largest country in terms of area. In Table, data after year 2015 are projection using Medium fertility variant.